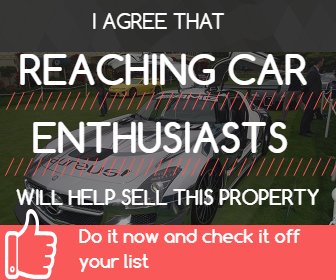 To continue to be the best place on the internet for property sellers and real estate brokers/agents to advertise that their car property is for sale or for lease. We also are dedicated to being the best place for buyers and renters to find the Car Property of their dreams! It is our mission to make Car Properties known to everyone who wants to enjoy the unique characteristics that make Car Properties so much fun and so valuable to those who appreciate them. The origins of this company are based on the founders experiences during his childhood and adult life in his hobbies and business. Being around car collectors as a kid and as an adult, has helped him understand the need for a better Car Property resource. Combined with his work experience in these industries: media; high-tech; software publishing and real estate brokerage, he finally had the vision that just made sense and CarProperty.com was born. With the encouragement of family, friends, fellow car collectors and enthusiasts, car property owners world wide and the media, our founder decided to follow through on his dream and make CarProperty.com a reality for us all. Please take your time and browse around our site to discover all of the cool and unique features and content that we offer on the site that has the slogan of "Where the Garage Matters". Register and enjoy yourself for years to come. Soon you will be able to start your own blog right here on CarProperty.com. Look for a Car Property based TV show in the future because it's a real possibility. The phrases Car Property and Car Properties are registered trademarks of the Car Property Group.